On 14th July, conscientious objectors Tair Kaminer and Ruslan Kotsaba – in Ukraine and Israel respectively - were released. Journalist and draft refuser Ruslan Kotsaba was freed on appeal, after initially being charged with treason. The judge found that there was no evidence to condemn him, and ordered his immediate release from custody. In Israel, refuser Tair Kaminer was exempted from the army for 'bad behaviour'. She had spent over 150 days in prison for her refusal. CO Omri Baranes is still going through the process of being repeatedly called up, imprisoned, released and called up. Sign up to support her, and other COs, here. Refusing to kill is not a crime. 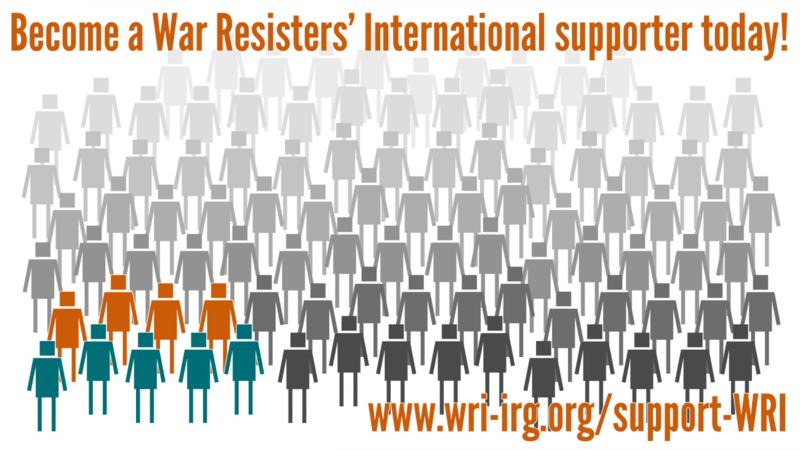 Troops involved in the July 2016 coup in TurkeyAfter the attempted coup in Turkey, WRI's affiliate Vicdani Ret Derneği (the conscientious objection association), released a statement and call to resist growing militarism: Let’s Resist the Spiral of Violence and Militarist Imposition. Following the massacre in Nice, WRI's French section Union Pacifiste extended its deepest condolences to the families and loved ones of the victims, in its statement Ensemble pour la paix ! On 21st July, thirty organisations in South Sudan, including WRI affiliate the Organization for Nonviolence and Development (ONAD) signed a letter calling on the UN Security Council to impose an arms embargo on South Sudan. Find the letter here, and please share it. Every year, WRI holds a council meeting – sometimes this is in person, but this year will be held online over two weeks of internet forums, conference calls and webinars. As well as more formal decision-making related to WRI, it is an opportunity to discuss politics, campaigns, and issues that are important to us. In 2014 we held a series of meetings via conference calls and as 'webinars' (web-based seminars) on different topics, and we are inviting contributions for ideas of similar events for this years meeting. Email info@wri-irg.org with the subject "E-council planning" if there is something you would like to contribute. Would you like to write for the next edition of The Broken Rifle? In the Broken Rifle 106 We want to hear about the incredible people within our movements taking action for social change, and what has led them to become part of our struggle against militarism. Their stories are likely to be inspirational, sometimes emotional, and definitely thought-provoking.